Android security has been in the news a lot in the past year. If you use an Android device, you're probably concerned about the various threats that have surfaced. It goes without saying that you need to keep your smartphone safe, but it need not be an expensive or complicated process. Here are a few simple steps you can take to protect your device without spending a lot (or even any) money. Google offers four security tips on its blog, one of which is to use Google Play to download apps. That's a smart tip though there are other secure alternatives, such as Amazon Underground, and Samsung and other hardware manufacturer app stores. If you find an app you like in another third-party store, be sure to do your due diligence: vet the app maker and check reviews before downloading. Speaking of apps, consider downloading a security app to protect your smartphone or tablet from malware. Tom's Guide recommends Avast!, which offers robust features even in its free version. The premium version ($15 per year) offers privacy tools and a customizable blacklist. It also offers features for rooted phones. The list also includes paid apps, such as Bitdefender ($15 per year), Kaspersky ($14.95 per year), and AVG ($11.99). Rooting, of course, lets you take control of your device, including installing robust security software, and gaining early access to Android software updates, which often include security patches. 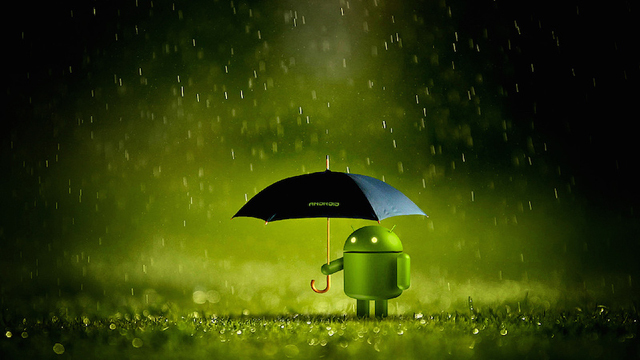 Keeping your software up to date is a great way to avoid Android vulnerabilities. Lock up your screen using a password, PIN, pattern, or fingerprint. While it can be annoying to keep unlocking your phone, it's a good practice to keep would-be snoopers out. Check out my tips for customizing your lock screen. Set up the Android Device Manager. This lets you lock your phone remotely, track its location, and wipe away all data if you lose the device. It's easy and fast, and you won't regret it the next time you misplace your device. Note that the location tracking requires that you have location settings enabled, which will drain your battery faster. Check your app permissions. With Android Marshmallow, you can customize what your apps have access to, and view and adjust those permissions in your settings. While you're at it, do some clean up: delete apps you never use. This will also free up valuable space on your device. Another Google tip is to encrypt your device's data (files, images, apps, etc.). You can check this in your settings, under security. The newest Nexus devices are encrypted by default, but you'll have to turn it on with most other devices. Note that this process may take over an hour, and you'll need to plug your device in. I recommending doing this overnight. Encrypting your phone requires that you use a password or your fingerprint to unlock your device. Don't talk to strangers. This is obvious for most, but don't click on links sent to you from unknown numbers or email addresses. Instead, delete the content immediately. While some of these links are harmless; most are not. These tips will go a long way towards keeping your Android smartphone or tablet safe. In the meantime, stay up to date on security flaws and threats; I will continue covering these issues right here.